On the last day of ITTC-32, delegates met in an extended session of the Council to hear reports from the Committees, adopt decisions (including the controversial decision on certification), and give expressions of thanks. After his concluding remarks, ITTC Chair Jürgen Blaser closed the meeting at 2:30 PM. 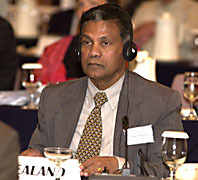 Right: Chair Blaser bidding delegates Om Shanti. 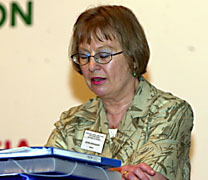 Chair Candy Green (USA) presented the report of the Committee on Forest Industry. 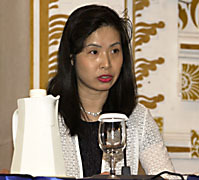 Chair Kayoko Fukushima (Japan) presented the report of the Committee on Finance and Administration. Cuba, an observer to the Council, reviewed its successes in forest policy over the last 40 years. He commended the ITTO for its professionalism, and the depth and quality of discussions and agreements reached. The Common Fund for Commodities noted its role in funding specific projects and confirmed its continued support for ITTO. 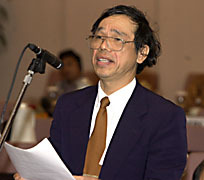 Barney Chan, Chair of the Trade Advisory Group (TAG), stressed the Group's concern with timber certification, emphasized that it does not support any particular certification scheme, and advocated a phased approach to certification. 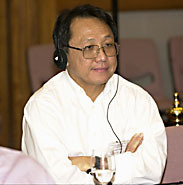 He underscored the severe impacts of illegal logging to timber trade and called upon the ITTO to address the issue. 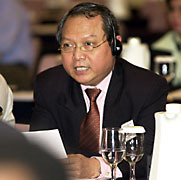 The Philippines, on behalf of ASEAN, welcomed Vietnam to join ITTC as a full member of the Council at ITTC-33. 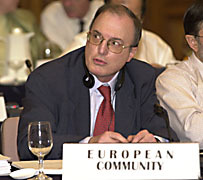 The European Community emphasized the spirit of cooperation demonstrated by the Council, and stated that the Organization should continue to exist and work hard to achieve the objectives its members have set out. Catherine Angele Boka née Agoussi, Minister of Water and Forests of Côte d'Ivoire (center), lauded the energy and commitment of the ITTO, particularly its support for projects in producer countries. She thanked donors and the ITTO for their financial support, but noted that the amount of finance from the Organization is diminishing and that many projects lack funding. She appealed to those hesitant to provide financial support to assist producer countries in their efforts to achieve SFM. Aulikki Kauppila (Finland), Spokesperson for the Consumers Caucus, said that for sensitive issues, a mechanism should be created for a thorough exchange of views before embarking on negotiations. 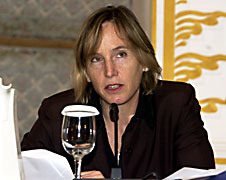 She stated that the Chair's proposal to have a discussion in the ITTO's role in certification on the agenda was an example of such a mechanism. 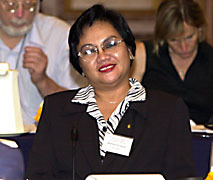 She said consumers believe the CSAG decision will be a useful in improving the ITTO's credibility, visibility, and reputation among those who criticize the ITTO's work in the field of forestry. 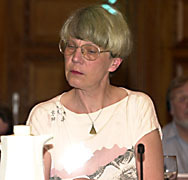 Chair Astrid Bergquist (Sweden) presented the report of the Committee on Economic Information and Market Intelligence. 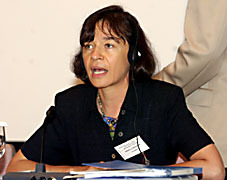 Chair Angela Andrade Perez (Colombia) presented the report of the Committee on Reforestation and Forest Management. 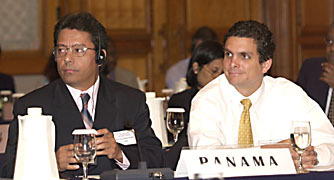 Panama announced that it will host ITTC-34, to be held from 12-17 May, 2003. Vietnam, also an observer, said he was particularly impressed by the ITTO's Mangrove Workplan and emphasized its relevance to Vietnam. He signaled his country's intention of becoming an ITTO member, and asked for ITTO's help in organizing a workshop on awareness raising. New Zealand called attention to a UNFF intersessional expert meeting on the role of planted forests in sustainable development, to be held in New Zealand from 24-30 March 2003. 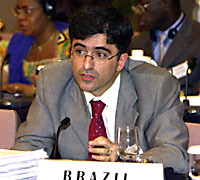 In closing remarks, Brazil saluted the spirit of cooperation that enabled ITTC-32 to accomplish so much, and highlighted the decision to create the Civil Society Advisory Group (SCAG). He thanked the TAG for the lively debate engendered at the annual market discussion, and stressed the importance of listening to those who challenge conventional wisdom. 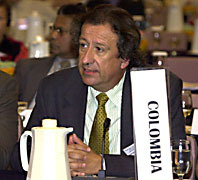 Juan Mayr, Minister of the Environment of Colombia said this session has demonstrated the importance and relevance of the ITTO. He expressed his conviction that the ITTO has a promising future, and called on donor countries to redouble their efforts to support it and its projects. 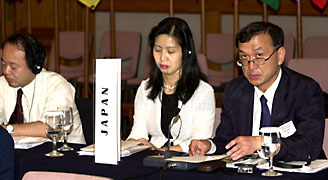 Japan hoped the activities to emerge from the decision on SFM in the Congo Basin would help countries work toward Objective 2000. 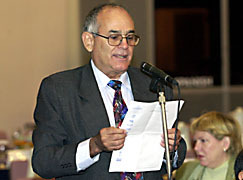 He said that this decision, as well as that on the WSSD, would contribute to the Summit. 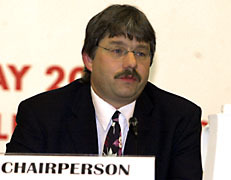 He welcomed progress by the Council to improve the ITTO's overall efficiency. Untung Iskandar (Indonesia), Spokesperson for the Producer Group, welcomed the CSAG decision, highlighting the vital roles that civil society organizations, including environmental groups, play in supporting efforts to achieve SFM. Regarding certification, he requested to put on record that voluntary certification means otherwise for producers, as they have to certify their forest management systems to allow them to sell their forest products. In his closing remarks, Chair Blaser noted the ITTC's significant decisions on: a SCAG; guidelines on secondary forests; initiatives for the Congo Basin; and the mangrove action plan. Noting the difficulties in the certification discussions, he called for a fundamental discussion on the role of ITTO in respect to certification at ITTC-33. 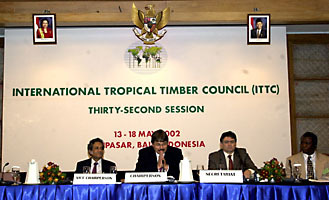 He also called for consideration of: the ITTO's role in international forest-related initiatives; the ITTA renegotiation; the organization of work; and legally produced timber and declaration of origin. project and pre-project proposals, and information about the ITTO. 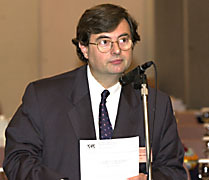 ï¿½ 2002, IISD. All rights reserved.